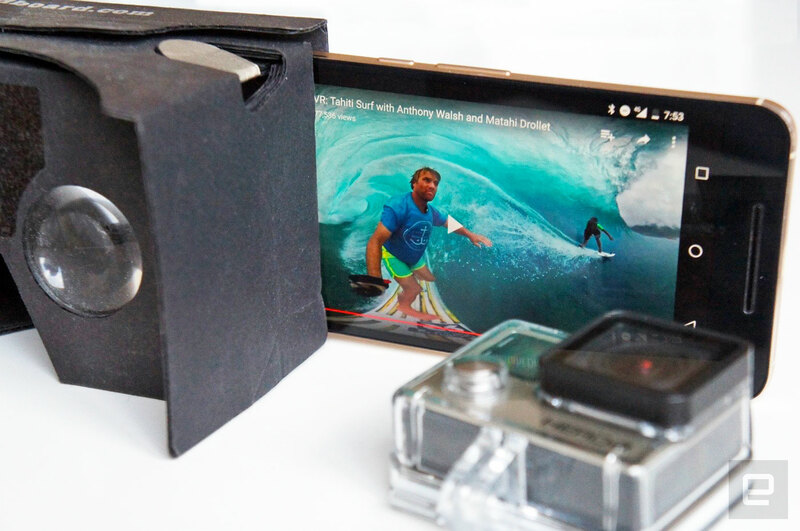 GoPro VR and LiveVR give the action camera company an end-to-end virtual reality video suite. It's been a busy few days for GoPro. The firm officially took the wraps off its six-camera Omni VR rig last week, snagged one of Apple's top designers, and partnered with over 100 companies with its new developer program. Today, the company revealed it's launching a channel for 360-degree/virtual reality videos called "GoPro VR," along with a version of its HEROCast wireless streaming tool for VR (called LiveVR). We also learned how much that Omni rig will set you back: $5,000 for a bundle with everything you need (six cameras, Kolor software, smart remote, cables, memory cards, etc.). If you already have enough GoPros in your kitbag, you can buy the rig on its own for $1,500, with pre-orders opening tomorrow. GoPro VR will launch tomorrow (Monday) on the web, along with VR headset-friendly iOS and Android apps in their respective stores. The platform will host curated GoPro VR video content, similar to how its existing on-demand video channel works for "regular" footage. The spherical/VR video content will initially come via its sponsored athletes and artists, but it's likely some user-generated content will follow once there's enough of it. GoPro technically already had a VR video platform, as it inherited Kolor Eyes, when it acquired the video stitching software of the same name. GoPro VR, then, appears to be the logical rebranding / development of that. If you can't wait until tomorrow for the launch, then dive in to the video below on YouTube for a pretty solid taste of things to come. These announcements are all part of the company's line-up for the NAB show that starts on Monday. This is also where GoPro will show early demos of live, wireless VR streaming -- or "LiveVR." Details on this are sparse right now, but essentially it appears to be an extension of the HEROCast system, souped up to handle the extra throughput of the multiple cameras used in Omni. The LiveVR system will be used as part of the company's partnership with the MotoGP, along with other sporting events in the coming months. When GoPro revealed the final design for Omni, we knew it would cost upwards of $3,000 -- as that's how much the cameras alone would set you back. The company today confirmed the whole package will in fact cost $5,000, this includes everything you need to get going (memory cards, cables and Kolor editing software etc.). If you're bringing your own six cameras, then you can buy the rig on its own for $1,500. The rig is more than just a frame for the cameras, it has specific hardware that makes all six cameras operate as one, which is presumably superior to chancing it and starting all of the cameras together with a remote. That price might seem pretty steep, but it's relatively affordable compared to the 16-camera Odyssey rig, which costs $15,000 all in -- not that you can technically buy one of those, even if you wanted (it's currently invite only). Other products such as Nokia's all-in-one Ozo will set you back a whopping $60,000, and Facebook's Surround VR camera cost the company a reported $30,000 to make. Those two are pro rigs, newcomer Orah is a closer rival to the Omni. The small, four-lensed "4i" camera will cost $3,600 -- somewhat cheaper than Omni -- but can't be disassembled into separate cameras, and has fewer optics. While Omni still might be out of most amateur's budgets, GoPro at least appears to be making the whole production process for VR video as simple as possible. Omni is designed to work with the company's own Kolor video stitching software, and a partnership with Adobe means Premier Pro CC and After Effects will natively handle the 8K/30FPS spherical video files that Omni creates. 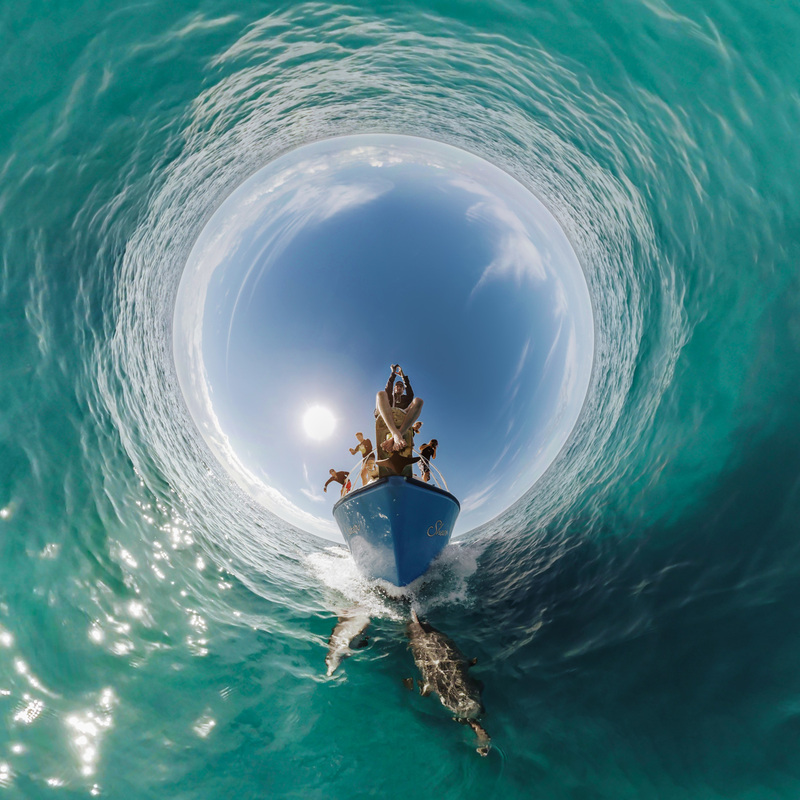 Combine this with the new VR video destination, and GoPro's army of content makers, and arguably, all of a sudden, the company has one of the most complete virtual reality video ecosystems out there. The virtual reality industry in general is pretty much unfolding right in front of our eyes. Samsung with its Gear VR has made headway in normalizing VR headsets as a consumer product, but the mobile giant's reach only extends as far as users of its phones. Facebook owns Oculus, arguably the biggest name in VR, but that is still prohibitively expensive for many users, as is rival hardware from HTC. Mark Zuckerberg has made it clear that virtual reality plays a big role in Facebook's future, but with no consumer product of its own for content creation, that part of the equation is still mostly up for grabs. There are many options for consumer-level 360-degree cameras, but none have yet been able to dominate the market. Until today, GoPro hasn't been explicit about how it plans to tackle VR video, with Omni and Odyssey and the acquisition of Kolor only providing basic clues. Rumors the company might release a VR-friendly version of its standard camera have so far proven untrue. With the launch of GoPro VR, LiveVR and the availability of Omni, it's at least showing a little more of its hand.